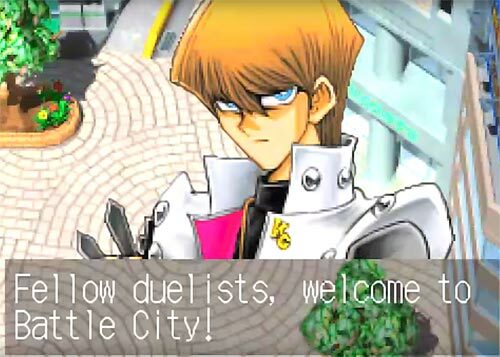 With Season 2 and 3, Battle City, the rules are a lot closer to real-life, but I don’t want decks to be in image of the 2004 meta, but rather true to the spirit of the anime. This means, among other things, that Fusion monsters and Egyptian God Cards will be a force to be reckoned with. · Each player starts with 4000 life points. · You can only declare 1 direct attack per turn. · Effect damage and piercing damage are cut into 1/4th. · Costs, however, remain the same. · Your Main Deck must have at least 50 cards. · Once per duel: During the Battle Phase when your opponent declares an attack, you can chain, activate and resolve your face-down Normal Spell like it were a Trap Card. · During the turn they are Summoned, Fusion monsters cannot attack, but they’re also not affected by the opponent’s card effects until the controller’s next turn. · Once per turn: When you Fusion summon a monster via Polymerization, draw 2 cards. · The following cards: Slifer the Sky Dragon, Obelisk the Tormentor and Winged Dragon of Ra are legal to use. · You can only use one of these three cards, maximum. You cannot use more than 1 copy of the same “Egyptian God Card”. · Egyptian God Cards cannot be targeted or destroyed by your opponent’s card effects. All cards outside of these sources are illegal. 1. You cannot use Forbidden cards in a duel. 2. You can only use 1 copy of each Limited card. 3. You cannot use more than 15 Limited cards in your deck. Choose wisely.